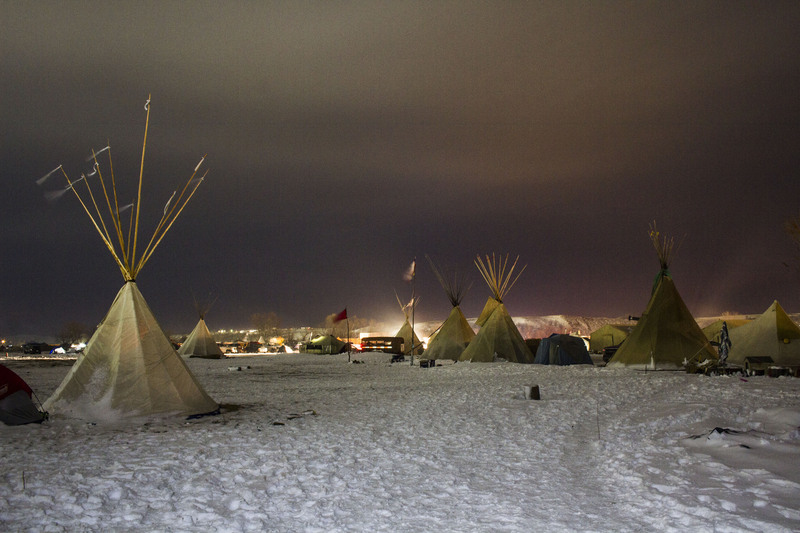 Home / Dissent NewsWire / Why is the Joint Terrorism Task Force Questioning Water Protectors? Why is the Joint Terrorism Task Force Questioning Water Protectors? FBI Joint Terrorism Task Force (JTTF) agents have attempted to question a number of activists involved with the ongoing protests against the Dakota Access Pipeline (DAPL) at Standing Rock. This surprises exactly no one. According to Lauren Regan, a civil rights attorney who has helped with legal support at Standing Rock, JTTF agents visited at least three activists in recent weeks. These visits were “knock and talks,” which is when the FBI shows up, sans warrant, and tries to “voluntarily” engage the individual in a conversation. Such voluntary conversations are intimidating, and dangerous because they are fishing expeditions. The agent can ask about almost anything and seemingly innocuous comments can be developed into “incriminating” information and an individual can be charged with lying to a federal agent. Individuals should never talk to the FBI without a lawyer present. We have documented how the FBI continuously uses its counter-terrorism authorities to investigate First Amendment activity, most recently including Black Lives Matter movement, School of the Americas Watch, and anti-Keystone Pipeline protesters. If it’s a major movement for social, economic, or racial justice, chances are the FBI is interested–for the wrong reasons. And we can only expect that the FBI and their JTTFs will be engaging in more of these visits, as well as monitoring, infiltrating, and trolling for informants at meetings, conferences, and protests in the coming years. But we have a plan to fight back. The JTTFs are particularly vulnerable to local coalitions that want to stop authoritarianism and repression at the border. The border of their city, county, or state. That’s because JTTF’s are made up of federal, state, and local agencies. About 30% of JTTF personnel are local police, so if local activists can prohibit their local police from playing the FBI’s game of spying on activists and Muslims who aren’t doing anything wrong, we can seriously put a dent in the FBI’s ability to trample the Constitution. State and local agencies participate in JTTFs under secret agreements* and they operate under the direction, and usually under the rules and guidelines, of the FBI. And the rules governing the FBI are notoriously loose. They do not need a factual basis or any evidence at all of terrorism or wrongdoing to launch an investigation using undercover agents or paid informants, conduct covert or overt interviews, search through government or commercial databases, infiltrate lawful groups, or dig through your trash. Without rules to restrict them, JTTFs are routinely unfairly targeting Muslims, people of color, immigrants and political dissidents for surveillance, infiltration, investigation and harassment or “disruption strategies,” just like they did in the 1960’s and 70’s during COINTELPRO. But local activists can force their City, County, or State to play by local rules, or, better yet, they can demand that their police withdraw from the JTTF entirely. San Francisco and Portland have already done that. Your town can too. Activists concerned about Trump’s agenda and what it means for social movements can work to limit their own local police’s ties with the FBI’s JTTFs. The worst abuses at Standing Rock thus far have come from local police, reining them in is a tangible way to slow down Trump’s FBI.